Around Autumn we find our tastes in tea changes. The light, summer blends that kept us cool now give way to deep, rich flavours to help warm us as the nights grow longer. We’ve complied a list of our Autumn favourites to share with you. A stand out favourite amongst many! This traditional spiced black tea offers a warming cuppa that’s full of flavour; perfect for when the chill starts to creep in! There are many different ways to enjoy the delicious flavour of Chai. Whether you prefer your chai as a rich, creamy latte or a caffeine free Rooibos there’s a lot of choice out there! Staff Pick: The favourite Chai tea amongst everyone here is the Pu-erh Sweet Chai – A delicious blend of Pu-erh tea with licorice, cinnamon and other spices. The most popular tea in our shop comes alive at this time of year. Combining the perfect amount of smoothness with a deep malty flavour this tea goes well with milk and sugar to give you the best loose leaf ‘builders’ tea and warming brew. Whether you like the full, rich body of a Lapsang Souchong or maybe the perfumed flavour of a Smokey Earl Grey we cannot deny how well a smokey tea works as the damp, cold weather closes in! Staff Pick: Our Smokey Russian blend has proven to be our favourite smokey tea year after year. 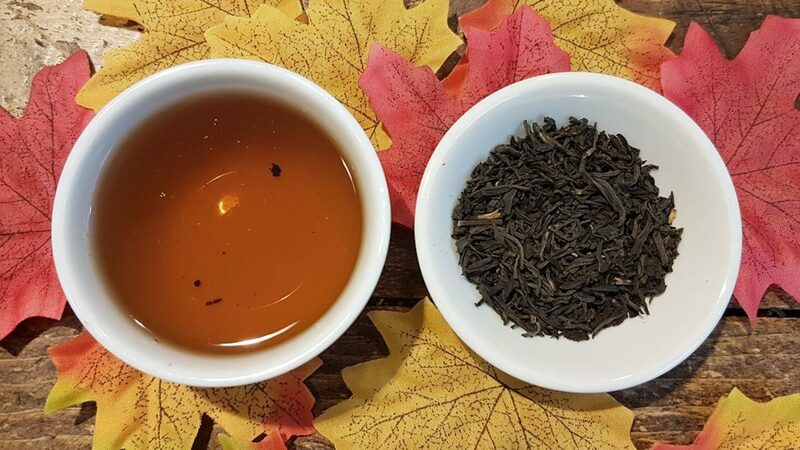 This in-house blend combines the rich smokey flavour of lapsang souchong with Chinese Keemun and Russian Caravan to give a well balanced, rich brew with just the right amount of smokiness. This plant from South America is often drunk like a traditional tea. In its roasted form it’s very popular in Brazil and can be served pure or with a dash of milk and sugar. The infusion has a very pleasant taste and is a little reminiscent of coffee. For the green tea lover we recommend trying Japanese Genmaicha tea this autumn. This traditional Japanese tea is made from Sencha leaves and toasted rice. The infusion is pale green with a slightly nutty and sweet taste. Let us know which are your favourite Autumn teas! Most of all enjoy your tea and stay warm this Autumn!